Yi Qian received a Ph.D. degree in electrical engineering from Clemson University, South Carolina. He is currently a professor in the Department of Electrical and Computer Engineering, University of Nebraska-Lincoln (UNL). Prior to joining UNL, he worked in the telecommunications industry, academia, and government. Some of his previous professional positions include serving as a senior member of scientific staff and a technical advisor at Nortel Networks, a senior systems engineer and a technical advisor at several startup companies, an assistant professor at the University of Puerto Rico at Mayaguez, and a senior researcher at the National Institute of Standards and Technology. His research interests include communications and systems, and information and communication network security. More specifically, he has research and industry experience in wireless communications and systems, information assurance and network security, sensing and sensor networks, vehicular communications, smart grid communications, broadband satellite communications, optical communications, high-speed communications and networks, and the Internet of Things. 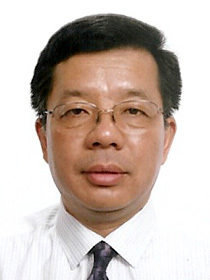 Prof. Yi Qian is a Fellow of IEEE. He was previously Chair of the IEEE Technical Committee for Communications and Information Security. He was the Technical Program Chair for IEEE International Conference on Communications 2018. He serves on the Editorial Boards of several international journals and magazines, including as the Editor-in-Chief for IEEE Wireless Communications. He was a Distinguished Lecturer for IEEE Vehicular Technology Society. He is currently a Distinguished Lecturer for IEEE Communications Society. IEEE TCGCC Distinguished Technical Achievement Recognition Award, IEEE Technical Committee on Green Communications & Computing (TCGCC), December 2018. IEEE CISTC Outstanding Service Award, IEEE Communications and Information Security Technical Committee (CISTC), December 2018. Holling Family Distinguished Teaching/Advising/Mentoring Award, College of Engineering, University of Nebraska-Lincoln, April 2018. Holling Family Distinguished Teaching Award for Innovative Use of Instructional Technology, College of Engineering, University of Nebraska-Lincoln, April 2018. William E. Brooks Engineering Leadership Fellow, College of Engineering, University of Nebraska-Lincoln, September 2014 – August 2018. Distinguished Lecturer, IEEE Communications Society, January 2018 - December 2019. Distinguished Lecturer, IEEE Vehicular Technology Society, July 2014 - June 2018. Faculty Service Award, College of Engineering, University of Nebraska-Lincoln, April 2014. Holling Family Distinguished Teaching Award, College of Engineering, University of Nebraska-Lincoln, April 2012. Henry Y. Kleinkauf Family Distinguished New Faculty Teaching Award, College of Engineering, University of Nebraska-Lincoln, April 2011.